A UCAS exhibition will focus your research and get you thinking about what you really want from your future. 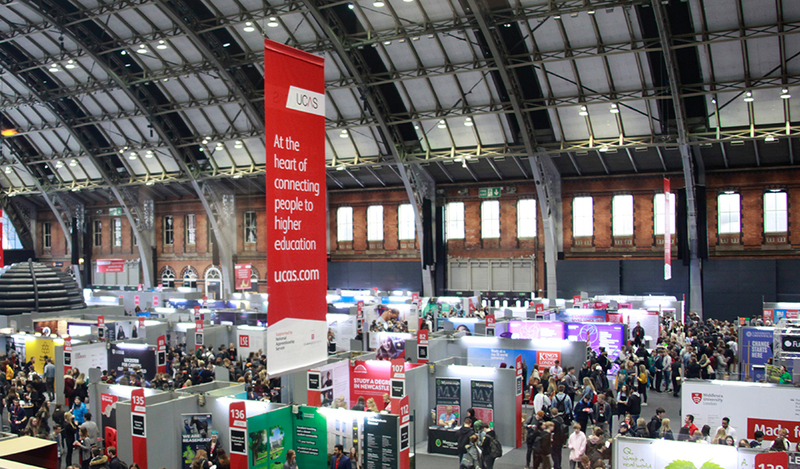 UCAS Exhibitions are large-scale events that play host to UK universities and colleges, higher education experts, employers and voluntary agencies. It’s a great opportunity for anyone who is unsure of their future, and those who have an idea but would like to explore their next steps. Amongst the stands you can expect to find inspirational talks, topical seminars, application advice, and subject-specific workshops. 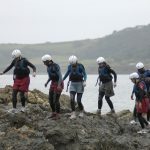 Visiting one of these events offers young people the chance to explore degrees, school leaver programmes and apprenticeships, as well as volunteer work and gap year opportunities. It’s normal to feel overwhelmed in a busy tradeshow environment, but with a little preparation you can be sure to leave with heaps of new knowledge – not just a bag of freebies! Make sure you have a sturdy bag – you’ll collect lots of information materials. Check the activity programme. Will there be any guest speakers or interactive activities on the day? Which will be the most useful for you to attend? Make a list of stands to visit – it will keep you organised and on track so you don’t miss anything important. See if some of your questions can be answered in advance by visiting the university or college’s website, or try out a comparison website like whatuni.com. Information on modules, assessment methods, and entry points can usually be found online – freeing you up to ask the interesting stuff in person! Prepare some questions that you wouldn’t necessarily find on a website or in a prospectus. Consider what factors would enrich your experience as a student. Perhaps you want to join a society or would like on-campus support services? How close is the nearest shop? Do they have sports facilities? How big is the Students’ Union? UCAS Exhibitions are a fantastic opportunity to hear real feedback from real students who’ve been in your shoes. When you arrive you’ll be given a unique barcode to scan at each of the stands you visit. When prompted, tick the ‘send me info’ box and UCAS will share personalised information with you after the event, based on your visit. Don’t follow the crowd! This is a chance to find your own calling, which might not be the same as your friends’. Do listen to other people’s queries. The most inspiring conversations can erupt out of topics you’d never have thought to ask. Don’t weigh yourself down by collecting a prospectus from every university or college. Most of them are available digitally, or you can request a printed copy in the post. The staff on each stand may not be academics, so try to use this experience as an opportunity to learn about the institutions’ values, local area, resources and opportunities. Course content is best discussed with the programme team at an Open Day or interview, or with an admissions team over the phone. Check their website for more information. 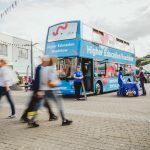 Remember, UCAS Exhibitions aren’t a replacement for Open Days – there really is no better way to get to know a university or college than by visiting the individual institution. It’s not about who’s got the best freebies – don’t be dazzled by branded Frisbees! London – Create Your Future. 15th – 16th October.